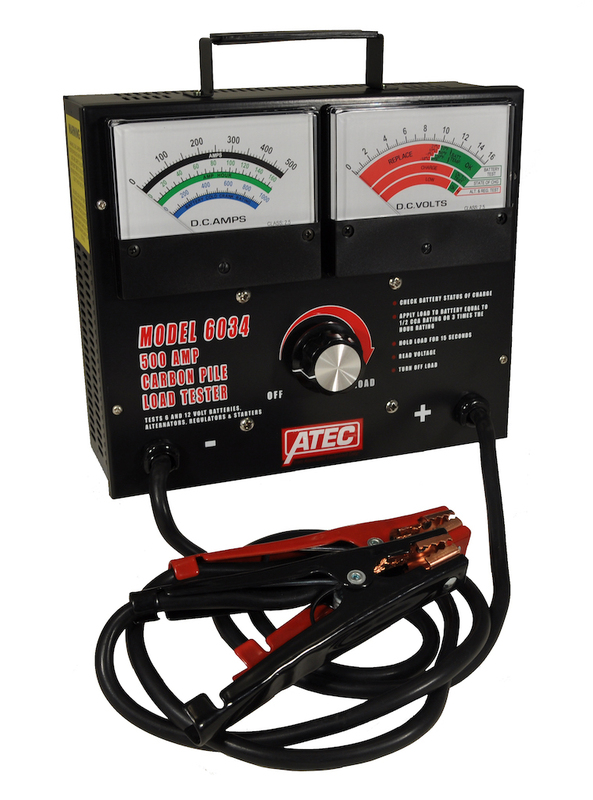 Model 6034 | Associated Equipment Corp.
display amperes and volts. DC test leads are 2.5’ 4 AWG cable. Unit comes with manual adjust knob. Buzzer sounds after load is engaged for 15 seconds.